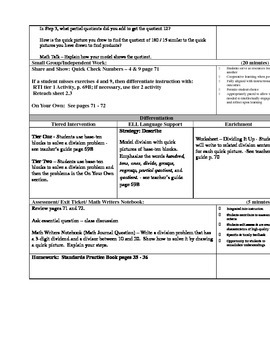 This is a lesson plan for 2.3 of the Go Math! program for grade 5. The lesson covers using base ten blocks to divide by 2-digit divisors. The math common core standard that is addressed is CC.5.NBT.6.